Been a busy week trying to get my last five Slugga Boyz done before the end of the month and the new Blood Bowl league starting up. I have completed my February Painting resolution and here are the last five boyz. This brings up the total number of Slugga Boyz painted to 15. 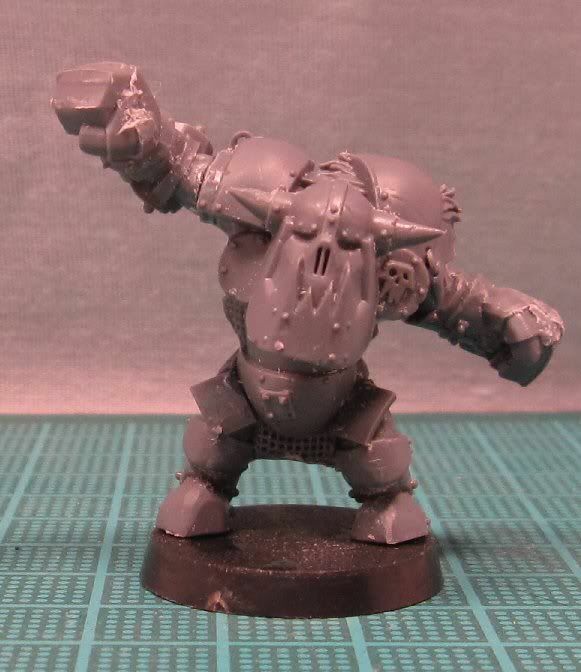 For March's Painting Resolution, I will paint 10 Ork Nobs with a Painboy and a Grot Orderly. If I get that done, I am going to try to paint a trukk to go with them. Also this week, I made two Black Orc Blockers for my Orc Blood Bowl team. 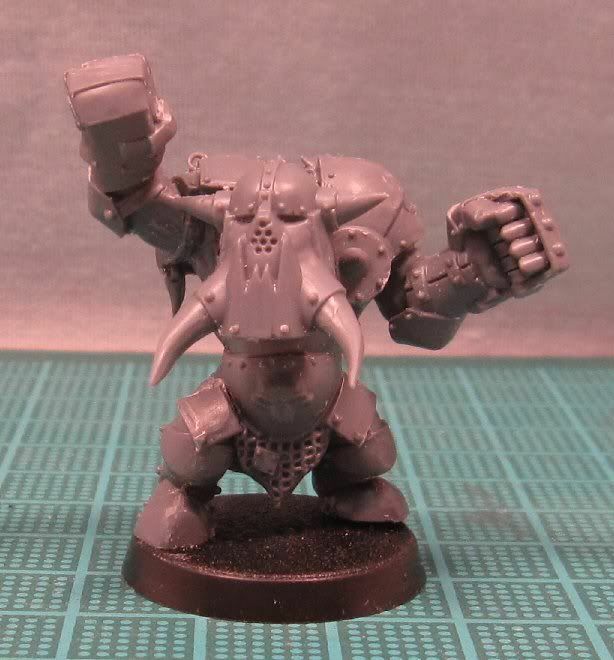 I converted models from the plastic Black Orc boxed set. It was not particularly hard. Mostly all I did was cut all their weapons off, but I think they look good. They have inspired me to try and convert a whole new orc team using WHF models. Although I know I do not need a coach model, I wanted to have one and I found one that I like. 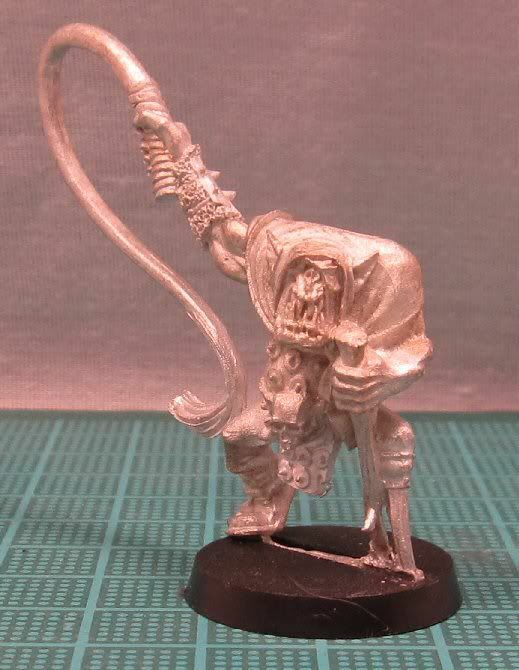 It is the Orc Bully from the Orc Stonethrower kit. The whip is perfect IMO. I have been debating if I should do some green work on him look more Blood Bowl-ish, although I am not even sure what that means. If you have any suggestions or ideas, please feel free to leave comments. Thanks Cheef. 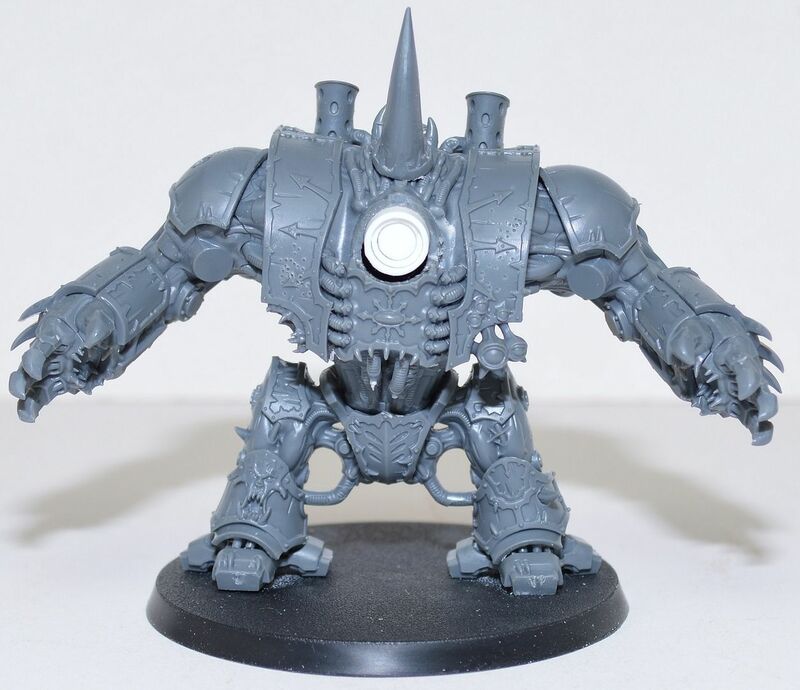 I have a third Black Orc Blocker assembled and ready to go and I am also working on an Orc Blitzer. I should have Pics up in a day or two.